Buying a home is a major dream for almost every family. However, it is a decision that goes well beyond finances. You want your home to reflect your values and your lifestyle. The biggest advantage to owning a house over renting an apartment is that your house belongs to you. It’s your home, and that’s a pretty big achievement in itself. This is why when a person is ready to buy a house, emotion can often get in the way of effective decision making. Not only can it hinder sound financial planning, but it can lead one into major sins. This CD Set is a guide to know what Islamic Finance really is, how one can understand the different terms used by various Islamic financial institutes, and how to make the best decision for your family in this life as well as the next. Shiekh Ghassan had the honor to study under the late scholar of Yemen, Shiekh Muqbil bin Haadi al-Waadi’ee, and earned an Ijaazah in Hadith from him. He has a Masters degree in Business and is an advisor who is able to give guidance in the field of Finance. He is also the founder of the Islamic Institution of Islamic Studies of Columbia, South Carolina. At present he is the Imam of the Islamic Center of Mobile, Alabama. One of the first things that most people think about when preparing for or thinking about marriage, are the characteristics or qualities of the person they would like to marry. Some people think about how they want their potential husband or wife to look – perhaps they think about such things as hair and skin color. Some men may look for a wife who is an excellent cook, and some women may look for a husband who is very religious. Many Muslims nowadays look for a wife or husband that is conversant in the Arabic language, or someone that is at least a student of Arabic. Nonetheless, most people, Muslims included, seem to go to great lengths to make elaborate lists, either on paper or in their minds, about all the things they want or expect from their potential husband or wife. And while this is good and perhaps a very necessary part of the marriage search, few people ever sit down, and with the same purposefulness and care, enumerate their own qualities and characteristics or think about whether they, themselves, are the kind of people that someone else with just as high expectations or ideals would want to marry. Think outside of yourself for a moment: If you were someone else, would you marry you? I don’t mean you, as you would like to see yourself weeks, months or even years from now. Nor do I mean you as you imagine yourself after you have had a chance to change a few of your bad habits, improve your character, fix yourself up, or you after you begin to practice your religion more seriously. I mean you, as you are TODAY. This three-part series covers more than a thousand years of Islamic history and culture, with emphasis on the contributions that Muslims have made in science, medicine, art, philosophy, learning, and trade. The first one-hour segment (“The Messenger”) introduces the story of the rise of Islam, and the extraordinary life of the Prophet Muhammad. 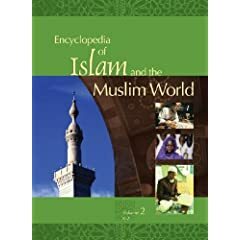 It covers the revelation of the Qur’an, the persecution suffered by the early Muslims, the first mosques, and then the rapid expansion of Islam. The second segment (“The Awakening”) examines the growth of Islam into a world civilization. Through trade and learning, the Islamic influence extended further. Muslims made great achievements in architecture, medicine, and science, influencing the intellectual development of the West. This episode also explores the story of the Crusades (including stunning reenactments filmed in Iran), and ends with the invasion of Islamic lands by the Mongols. The final segment (“The Ottomans”) looks at the dramatic rise and fall of the Ottoman empire. Three years in the making and fueled by an unprecedented grassroots funding campaign, Muhammad: Legacy of a Prophet, travels in the footsteps of the prophet to the Arabian desert and the holy city of Mecca where much of Muhammad’s story unfolded. But the film does not just stay in the past. Much of its story is told through the observations of contemporary American Muslims, including a fireman at the World Trade Center on September 11, a second generation Arab-American family building a community based on Islamic principles, a Congressional Chief of Staff working for justice, and a refugee fleeing religious persecution, whose experiences in some way echo Muhammad’s life. His father died before he was born, and his mother died when he was only six. But sheltered by a powerful uncle, he made a good start in life, established himself in a profitable business and married well. Then, at the age of 40, he was transformed. A man who could not read or write, he announced that he was the prophet of God. His name was Muhammad, and in the next 23 years he would bring peace to the warring pagan tribes of Arabia and establish the religion of Islam, which today has 1.6 billion followers.